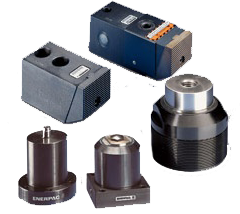 The Majority of Enerpac Cylinders can be found by clicking the Hydraulic Cylinders Product Section at the top of the page. All Cylinders are presented with basic dimensional information and full catalogue page, arranged by cylinder capacity. 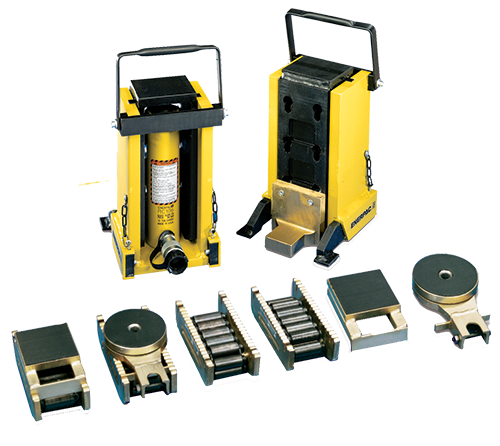 Repair Kits for Enerpac Cylinders can also be ordered from the relevant cylinder page. Simply select the stroke length you require and add to cart. All cylinder versions are available in higher tonnages and the CLS, CLSG Single Acting High Tonnage Cylidners as well as the CLRG Double Acting High Tonnage Cylinders and the CLL Lock Nut Cylinders most often used in construction are also available on request. PLEASE NOTE, WE ONLY OFFER UPTO 50 OR 60 TONNE CYLINDER SIZES TO PURCHASE DIRECTLY ONLINE, FOR LARGER CAPACITIES PLEASE CONTACT US. All catalogue information will include the larger sizes of cylinders for your information. 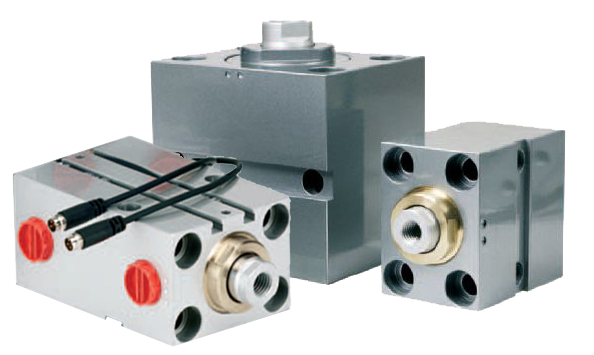 Single Acting Hollow 'RCH' Cylinders - Double Acting 'RRH' Hollow Cylinder available on request. The Imperial 'RD' Version of the production cylinders are available on request. Please contact us if required. 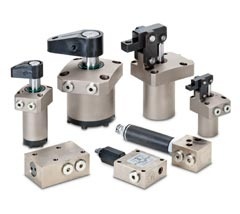 These Hydraulic Tools are suitable for a vast range of Hydraulic applications with many available to purchase on-line. 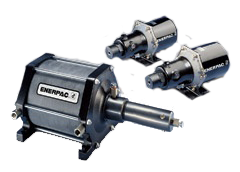 The Enerpac Pumps are divided in the Hydraulic Pumps product section. 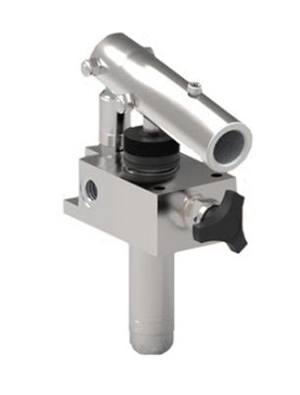 The Lightweight Plastic and new ULTIMA Steel P Series Hand Pumps are in the Hand Pump sub-section along. 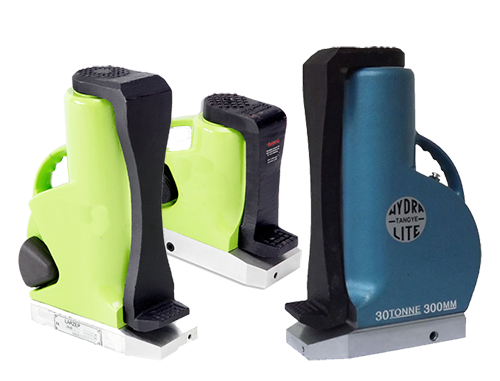 These Enerpac Pumps are organised by Speed, in Single and Two Speed Categories. 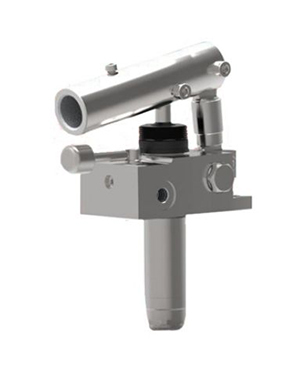 The MP Multi-Fluid Hand Pump and Reservoir along with the P2282 and 10-400 Ultra High Pressure Hand Pumps are also in the Enerpac Hand Pump Section. The New XA Series XVARI and older PATG Turbo Air Pump options are in the Air Pump sub-section. This leaves the PUJ Economy Electric Pump in the Electric Pump sub-section. Although this is the only Enerpac Electric Pump unit offered for sale on-site please contact us to discuss any requirements you have for ZU4 and ZE Electric Pumps which offer varying flow rates, motor and reservoir size and valve options.